But if Slava wished to become an American, to strip from his writing the pollution that repossessed it every time he returned to the swamp broth of Soviet Brooklyn, if Slava Gelman — immigrant, baby barbarian, the forking road spread-eagled before him — wished to write for Century, he would have to get away. Dialyze himself, like Grandmother’s kidneys. A journalist is just another kind of storyteller, and, ironically, Slava finds that the stories he tells best are the stories of his fellow immigrants. His grandfather shows Slava a letter to Grandmother from “The Conference on Material Claims Against Germany”, offering restitution to Holocaust victims. Slava’s deceased grandmother was indeed a victim, having survived the Minsk Ghetto. Grandfather, despite having escaped German persecution as defined in the official letter (“ghettos, forced labor, concentration camps”), feels entitled to restitution and cannot understand why his grandson’s moral scruples prevent him from immediately agreeing to submit a false claim. A Replacement Life examines the relationship between truth and fiction. As Boris Fishman says in his author’s note, “The line between fact and fiction, invention and theft, is as loose as the line between truth and justice.” As Slava forges more and more “tales of woe and deceit” for Grandfather’s associates, he begins to forget what’s fact and what’s fiction. And, he wonders, does it matter? The power of the stories he’s writing intoxicates him: “He was a middleman, a loan shark, an alchemist — he turned lies into facts, words into money, silence into knowledge at last.” The stories he fabricates help him understand his family, his culture, and himself more deeply. Before he began forging restitution claims, Slava tried desperately to write articles that would appeal to the editors of Century. All are rejected, and Slava doesn’t understand why. He doesn’t really become a writer until he begins writing with passion, seeking justice for Soviet émigrés. Slava is confronted with many moral dilemmas in the course of the novel, just as his grandparents had to make difficult choices during World War II and afterwards. Informants, falsified documents, government bureaucrats, the black market, the exchange of valuable information . . . all these things existed in the Soviet Union, and they still exist in Slava’s world. The novel asks us to consider the ways that circumstances shape us. In a conversation with his girlfriend, who is a fact-checker at Century, Slava says, “‘I can imagine myself as the person who’s forging. But I can also imagine myself as the person who turns in the forger. How can that be? '” The answer, the reader supposes, is that like Grandfather, most people do what they need to do to survive. Buy this book for the story, but read it for the character of Grandfather, a fearless, exasperating, tormented, and singular creation. I wouldn’t want to meet him in an alley, but I could have read another book about him. 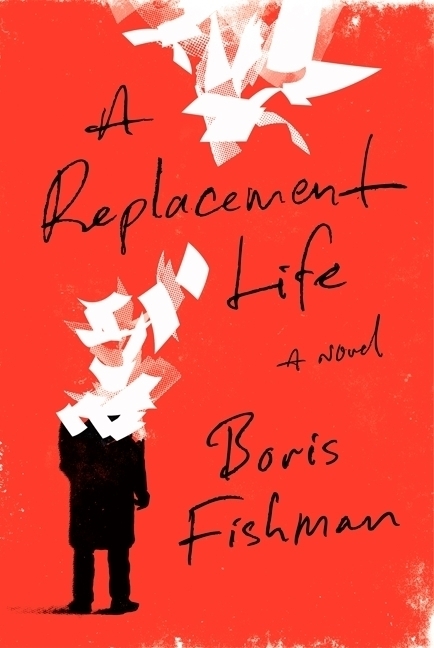 A Replacement Life is that rare thing: a novel that asks the big questions, embedded in a page-turner haunted by characters that walk off the page. To read more reviews of The Replacement Life, check out the stops on TLC Book Tours. Also, the New York Times recently gave the novel an excellent review — but be warned, the review contains spoilers. Visit Boris Fishman’s website to learn more about the author. He has several readings scheduled in New York this summer and fall. Because it’s finally summer . . . and it’s Saturday . . . and Books on the Table has never participated in something like this before . . . please join the Literary Giveaway Blog Hop! I’m offering giveaways of two books: Hemingway’s Girl, by Erika Robuck, and The Good Girl, by Mary Kubica. (Hemingway’s Girl is a published paperback and The Good Girl is an ARC, due to be published in July.) What’s the connection? They both have the word “girl” in the title and they’re both terrific summer reading. 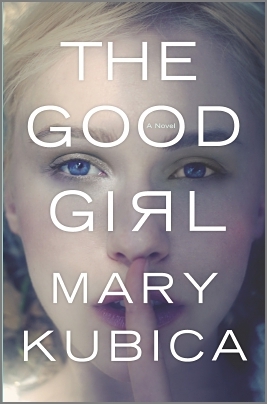 And several critics have compared The Good Girl to another “girl” book — Gone Girl. At the outset of Kubica’s powerful debut, free-spirited 24-year-old Mia Dennett, an art teacher at an alternative high school and a member of a well-heeled, well-connected Chicago family, goes missing. As puzzling as Mia’s presumed kidnapping initially appears, things turn infinitely stranger after her eventual return, seemingly with no memory of what happened to her or, indeed, of her identity as Mia. Key characters share the narrative in chapters labeled either “Before” or “After,” allowing the reader to join shattered mother Eve and sympathetic Det. Gabe Hoffman on their treacherous journey to solve the mystery and truly save Mia. Almost nothing turns out as expected, which, along with the novel’s structure and deep Midwestern roots, will encourage comparisons to Gone Girl. Unlike that dazzling duel between what prove to be a pair of sociopaths, this Girl has heart—which makes it all the more devastating when the author breaks it. Robuck drops the fictional 19-year-old Mariella Bennet into the life of Ernest Hemingway in her richly realized newest (after Receive Me Falling), set in Depression-era Key West, Fla. Mariella’s father has just died. 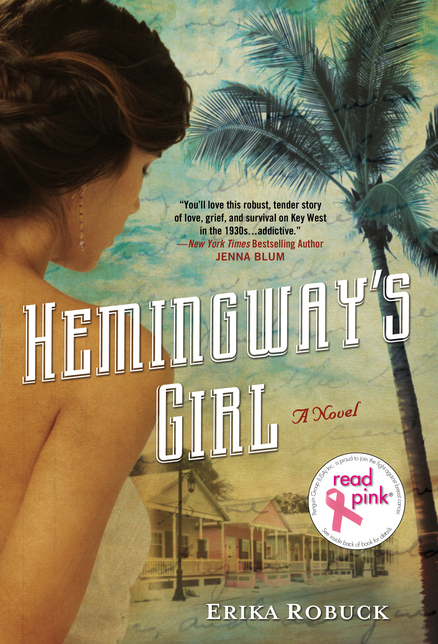 In order to raise money to care for her mother and sisters, Mariella bets on a boxing match refereed by Hemingway. Though she loses the bet, Mariella befriends the famous writer and is hired as a housemaid for Hemingway and his second wife, Pauline. Soon after, Mariella and Papa Hemingway attend another bout where one of the fighters, WWI veteran and Overseas Highway worker Gavin Murray, becomes smitten with Mariella. As she struggles to balance her fascination with the Hemingways’ glamorous life and the prospect of settling down with Gavin, an enormous hurricane careens toward the Keys. As the winds pick up and the rains fall down, tensions rise and Mariella must choose which way to run. Robuck brings Key West to life, and her Hemingway is fully fleshed out and believable, as are Mariella and others. Readers will delight in the complex relationships and vivid setting. You can enter for one or both of the books. To enter, leave a comment or email me at bksonthetable@gmail.com. The giveaway is eligible to followers of Books on the Table in the United States. Winners will be chosen randomly on June 25 and notified by email. There are over 30 other blogs participating in the blog hop and they are offering some great giveaways, so check them out! Many years ago, some friends and I started meeting for breakfast whenever one of our birthdays rolled around. We were all busy mothers of grade school children, with jobs and volunteer commitments, and breakfast fit nicely into our schedules. We crowded into booths at our local version of a diner, Egg Harbor, and exchanged funny cards and little gifts. As our children got older and our homes became neater, we started getting together at each other’s houses, serving bacon, eggs, and pancakes along with endless cups of coffee. We also started meeting when it wasn’t even anyone’s birthday. We even went out for dinner a few times — but never lunch. The Breakfast Club does not do lunch. As anyone knows who’s tried to organize a book club, choosing the book is the most difficult task. I won’t bore you with the details of the decision-making process, but I will tell you that the email chain was very long. (That might be because the discussion also involved choosing a date for our inaugural meeting.) There are seven of us, all with full schedules and strong opinions. Finally, we chose a book/movie AND a date/willing hostess. 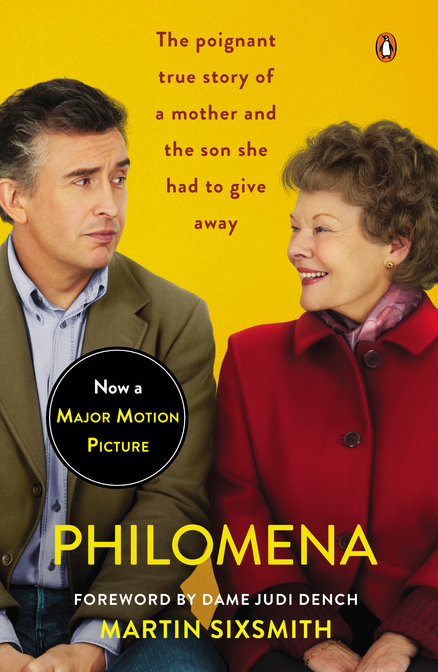 Despite one member’s wish to avoid anything sad or depressing, we picked Philomena. I don’t remember the exact conversation, but somehow we convinced her it wasn’t that sad. Philomena is the true story of an Irish girl whose family abandons her to cruel nuns when she becomes pregnant out of wedlock. The nuns force her to give her child up for adoption and prevent her from ever seeing him again, or even knowing if he is all right. (Honestly, you couldn’t come up with a more sad story than that.) It was a great choice and inspired an interesting discussion (and a few tears). Our discussion centered on the completely different perspectives of the book and the film. The book focuses on the life of Philomena’s son, Michael Hess — as an adoptee, closeted gay man, and Republican political advisor. 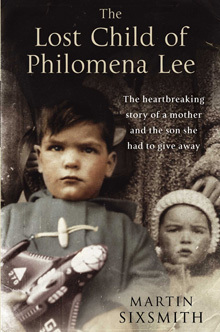 Philomena herself is peripheral to the book (originally titled The Lost Child of Philomena Lee), which was written by a British journalist, Martin Sixsmith. The movie, on the other hand, is Philomena’s story — and Martin Sixsmith’s. 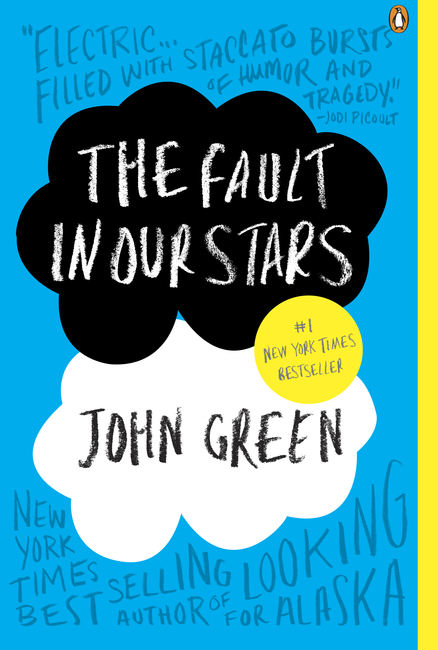 In the case of The Fault In Our Stars, the screenplay remains almost completely faithful to the book. It didn’t occur to most of us that we would be the only “mature” women in the theater, surrounded by groups of lovesick teenage girls, alternately giggling and crying. (One girl behind us said, “He’s so cute! He’s so cute!” almost every time teen heartthrob Ansel Elgort appeared on screen.) The youthful audience applauded when Hazel and Gus exchanged their first kiss, and got out of their seats many, many times for trips to the snack bar and restroom. I was so distracted that I did not need the Kleenex that my friends thoughtfully passed my way. One of the things we discussed over dinner, after the movie, was whether movie versions of books are ever better than the books. I said I thought there were quite a few, but I could only come up with one example on the spot — Sarah’s Key. Now that I’ve had a chance to reflect on it, I’ve thought of some more: The Devil Wears Prada . . . The Shawshank Redemption . . . Mystic River. I’m sure there are others, but those are the ones that came to mind. We are looking forward to seeing the movie Wild, based on Cheryl Strayed’s memoir, this fall. I liked the book, but wasn’t wild about it (sorry! couldn’t resist); will the movie, starring Reese Witherspoon, be superior? Now, we need to make a choice for our summer get-together. Two that sound good to me are Tracks and The Hundred-Foot Journey. Suggestions are welcome! Uncorrected proof: Please do not quote without comparison with finished book. Grammar was an important thing in our family. While my friend Becky and I were welcome to ride our bikes to the library, me and Becky most certainly could not. Spelling and grammar are important to me, too. Am I an uptight fussbudget? Is it wrong that I was annoyed when the people in charge of my children’s education sent home a flyer signed “All the middle school teacher’s”? Or that I feel the urge to correct the chalkboard outside a deli that offers “Fresh sandwichs $6.99”? Our store is so quaint that we still regularly mail a newsletter to our customers, with book recommendations and upcoming events. Once, someone anonymously sent the newsletter back to us with an error circled in red ink (I think the error was a misplaced comma), with an admonishment: “You need to proofread!” Not very nice, but it certainly made us more vigilant about proofreading. Of course, anyone, even a persnickety person like me, can make an embarrassing mistake. Recently, I updated the store’s website with the news that a particular “pubic” library would be hosting an author event. I received a very polite email, with a signature, suggesting that I might want to correct this . . . immediately. *This has been attributed to Plat, Philo of Alexandria, and John Watson aka Ian MacLaren. My thanks to all those guys. I’m a middle-aged suburbanite and probably not Stielstra’s intended reader, but I found a lot of wisdom and humor in her essays. Stielstra frequently appears at live storytelling events in Chicago. I’d love to see her perform — I wouldn’t have to worry about being distracted by spelling errors! 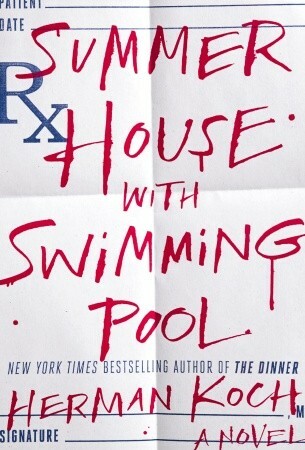 Emma Donoghue, who “wants a meaty plot; brilliant language; extra points for hilarity”, is a very sensible person. She says she actually prefers to read magazines on the beach, due to the mess factor. So if I make it to the beach this summer, I’ll bring a pile of magazines — although here on Lake Michigan, we have these pesky little biting flies that make it almost impossible to read anything, or even to remain on the beach. Here are 10 recommendations for summer reading. They’re all either available now or will be later this month. The New York Times (which called Jen Doll “Emily Post’s worst nightmare”) gave journalist Doll’s nonfiction account of weddings she’s attended a so-so review, but I thoroughly enjoyed her take on modern-day weddings. And yes, she needs some help in the manners department. 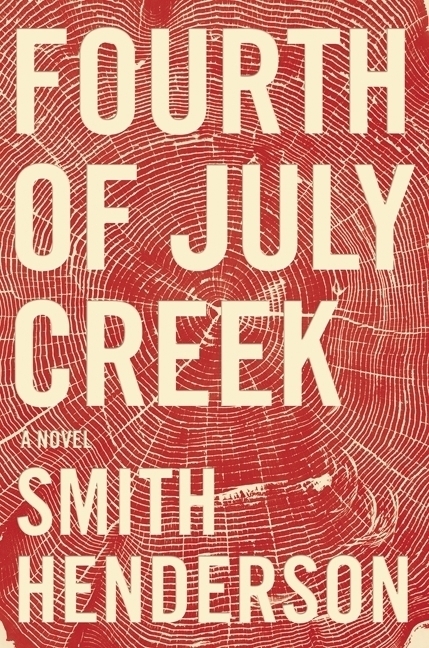 From the Oregonian: “Set deep in the backwoods of Reagan-era Montana and containing all the necessary ingredients of a slow-burn literary thriller — prickly characters, graphic writing, creeping suspense, Fourth of July Creek spins quite an unsettling yarn.” I’ve been waiting to read this ever since I picked it up at Winter Institute in January. From the publisher: “Goodnight Moon by Margaret Wise Brown is an adored childhood classic, but its real origins are lost to history. Sarah Jio offers a suspenseful and heartfelt take on how the “great green room” might have come to be.” I’ve just finished reading this and it is truly delightful. From the New York Times: “What makes these tales stand out as captivating exemplars of storytelling craft is Ms. Marciano’s sympathetic, but wryly unsentimental knowledge of these people’s inner lives; her ability — not unlike Alice Munro’s — to capture the entire arc of a character’s life in handful of pages; and her precise yet fluent prose (the result, perhaps, of writing in a second language), that immerses us, ineluctably, in the predicaments of her men and women.” Every list of recommendations needs a short story collection, and The Other Language is the best I’ve read in a long time. From Publishers Weekly: “A small New Hampshire town provides the backdrop for Miller’s provocative novel about the boundaries of relationships and the tenuous alliance between locals and summer residents when a crisis is at hand.” Several colleagues are highly recommending The Arsonist, and I’ve thoroughly enjoyed everything Sue Miller has written. 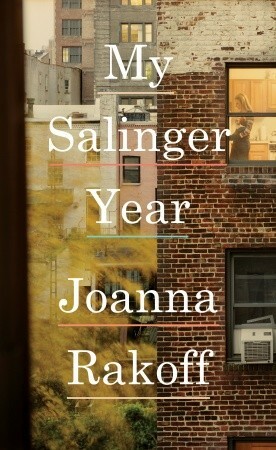 From Publishers Weekly: “In the beginning of See’s stellar ninth book, three young women, Grace, Helen, and Ruby, meet and form an unlikely but strong bond in San Francisco in 1938, as the Golden Gate International Exhibition is about to open . . .The depth of See’s characters and her winning prose makes this book a wonderful journey through love and loss.” I’m thrilled that Lisa See is coming to our community for an event in late June. From the New York Times: “For those unable to jet off to a Spanish island this summer, reading The Vacationers may be the next-best thing. 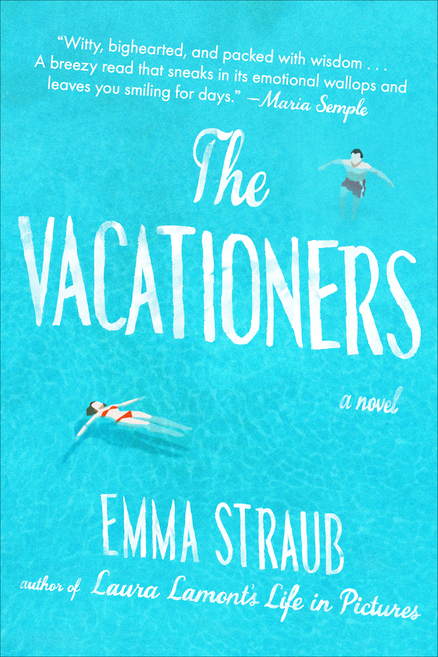 Straub’s gorgeously written novel follows the Post family — a food writer named Franny; her patrician husband, Jim; and their children, 28-year old Bobby and 18-year-old Sylvia — to Majorca . . . When I turned the last page, I felt as I often do when a vacation is over: grateful for the trip and mourning its end.” I felt the same way! Hop along the Hump Day blog hop at Julie Valerie’s Book Blog! Click to return to the Hump Day blog hop. When Betty Gardiner dies, leaving behind an unkempt country home, her grandson and his young wife take a break from city life to prepare the house for sale. Nowell Gardiner leaves first to begin work on his second mystery novel. By the time Vivian joins him, a real mystery has begun: a local girl has been found dead in the woods behind the house . . . As Vivian attempts to put the house in order, all around her things begin to fall apart. It’s understandable if this plot synopsis leads you to believe that The Qualities of Wood is a page-turner. 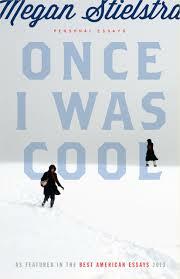 When I started reading Mary Vensel White’s debut novel, that’s what I thought it was going to be. Suspense and tension develop after a body is found Nowell and Vivian’s land. The local people are peculiar and secretive, especially Mr. Stokes, the nearest neighbor, who lives “a half-mile to the west, deep in the trees”. Nowell’s ne’er-do-well brother arrives for an extended visit, bringing his new wife — and a frightening hint of violence. Nowell himself acts strangely, hiding in his airless study and refusing to spend time with his wife. Is he just a temperamental writer, or does his behavior signal something more ominous? Vivian expresses surprise that “a sensitive, easy-going person like Nowell could write about deranged people and horrific events”, but to the reader, he seems far from “sensitive” and “easy-going”. There were things Vivian didn’t understand about her husband, like his craving for privacy and his occasional secrecy . . . Besides, she had her own secrets. Whenever she began resenting Nowell’s guardedness, she thought about how it comforted her to think of her own private self, , buffeted and protected and perhaps mostly unknown even to herself. 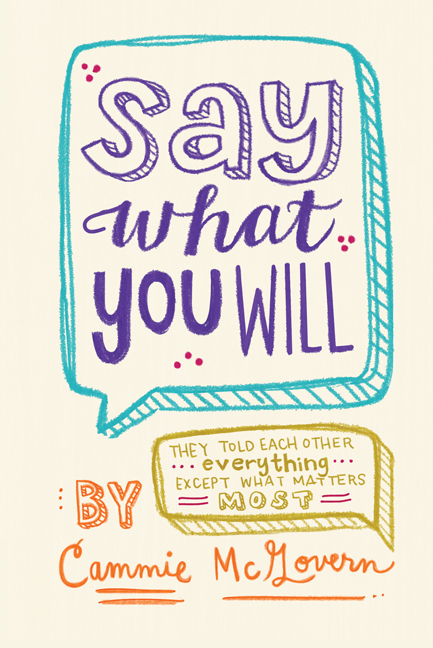 If Nowell told her everything about himself, what would that leave to discover, to talk about? Although The Qualities of Wood is carefully constructed, it’s not a plot-driven novel. It’s a character study of Vivian, and her relationships: with her enigmatic husband and his family, and with her own parents. How much can we — and should we — know about the people we love? Gradually, the reader recognizes that there will be no dramatic plot twists. This isn’t a conventional suspense novel; readers who are expecting one may be disappointed by the book’s measured pace. But readers who are more interested in character development and setting will appreciate the artistry of The Qualities of Wood. It’s obvious that wood is significant in this novel — both wood as a material and “the woods” as a place. One of Vivian’s most vivid childhood memories is being lost in the woods. Vivian and her parents spent a summer in a log cabin at a writers’ colony, “surrounded by trees”. One day Vivian intentionally wanders away, panicking when darkness begins to fall and she cannot find her way back. When she arrives at a house, a man smoking a “marbled-wood pipe” invites her to come inside. The reader feels a sense of dread, but it turns out that the stranger is kind and helpful, offering her a snack and returning her to her parents. Like so many events in this novel, the outcome is so ordinary that it’s unexpected. When Vivian speaks with the sheriff who has found the dead girl in the woods, she recalls the terror she felt as a child when she realized she was lost. The woods continue to frighten her, but she is also drawn to their mystery. She’s also fascinated with Mr. Stokes, who lives in the woods and frequently wields an axe. “‘How much wood does one person need?” she asks him. ‘Don’t you worry about depleting your supply of trees? '” She sees that the woods can hide secrets, but they also provide shelter and comfort. What are “the qualities of wood”? Vivian remembered staring at her desktop in grammar school . . . and noticing the variety within the wood, the scant pencil remains from the students before her, the distinct markings of the grain. Like a fingerprint, each section unique to itself and to the seer. Eyes can become discerning, she thought, if you look long enough. The sky, the qualities of wood. Wood appears in many forms in the novel — the trees behind the house, the stumps and logs in Mr. Stokes’s yard, the old furniture Vivian sells at her yard sale, the lumber that Nowell’s grandfather cut to build his house, even the paper used to print Nowell’s novels. It’s a metaphor for many things, but most of all for change and growth. In a few short weeks, Vivian learns many things about herself and her marriage. 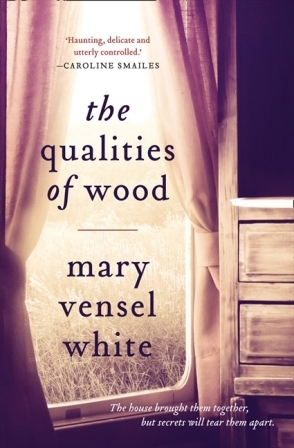 To read more about the novel and the author, visit Mary Vensel White’s website, and visit the other blogs reviewing The Qualities of Wood for TLC Book Tours. Also, if you happen to live in southern California, you can meet the author at Barnes & Noble in Irvine on June 17 at 7:00 p.m. and Vroman’s Bookstore in Pasadena on June 21 at 4:00 p.m.